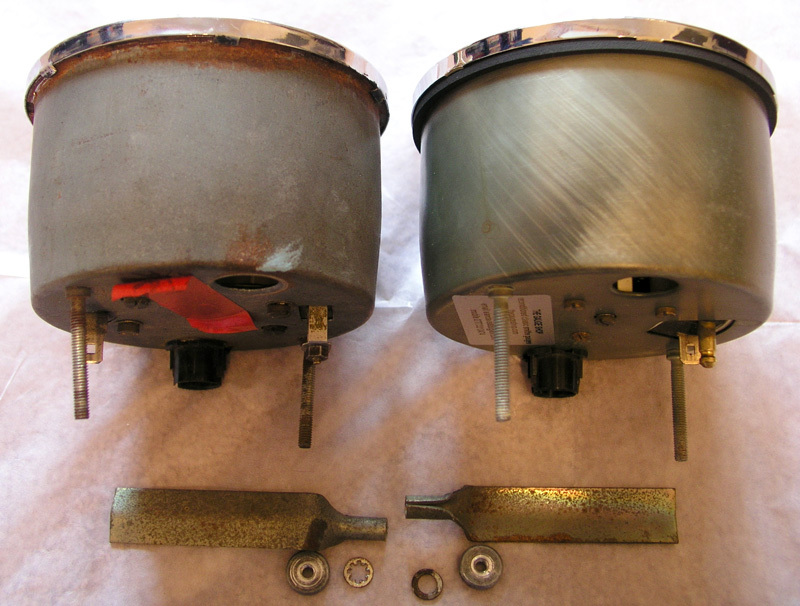 I have been watching an add on flea bay for an Accuspark electronic ignition conversion. Seller makes all the usual claims and in response to my inquiry, stated that no modifications to the tachometer would be needed to maintain it's function with their product. I have no quarrel with my stock distributor, but it is pretty old school. Does anyone have experience with the Accuspark unit? As long as it's one of the kits that fits inside the distributor it should be fine. I don't know about anyone else, but I prefer the Pertronics units. If I get to build time on my current project I'll be going with a Pertronics dizzy (built by Jeff @ Advanced Distributors) unless Steve works out the kinks on his MSD/Crakfire setup first. The Accuspark is similar to the Pertronix. They are "Hall effect" triggers. The location of the hole in the mounting plate is critical. The Pertronix is used by hundreds of JH owners including myself. I have never heard of Accuspark but maybe some of our British owners can comment..
Pertronix LU 142A are available at The Club Store for $94. I installed a JH-specific 'package' from Jeff @ Advance Distributors including a rebuilt and correctly tuned distributor, Pertronix Ignitor electronic ignition (LU-142A), and Pertronix FlameThrower coil (3.0 ohm - I removed the ballast resistor block). I was careful with the install to keep everything lined up at TDC and plug #1. The JH fired right up. To my surprise the tach is working. Initial timing was about 15-degrees, I retarded it to 12-degrees and went for a test drive. If I get a chance today I'll open up the gap on the spark plugs and play with the timing a bit. Jeff is easy to work with, the distributor is excellent, and the piece of mind knowing these are the correct parts is priceless when it is time to turn the key. Of course, the information, encouragement, and safety blanket of the JHPS is a big part of these projects too! Im planning a Pertronix conversion. I spoke to Jeff at Advanced Distributors and he recommends switching to a coil with internal ballast. My J-H has the resistance wire instead of the little ballast box by the coil. The resistance wire connects to the white wire from the tach underneath the dash. I was thinking I'd replace the resistance wire with regular wire to get the full 12V at the coil. Any idea if the tach will work (or burn up) if I do this? A friend said his tach burned up after doing something similar. Thoughts? Would it be easier just to stick with the resistance wire? Thanks! I had my tach open a few months ago. It was an inductive pickup with a heavy duty wire for the primary. I do not think burning out the tach should be a problem. 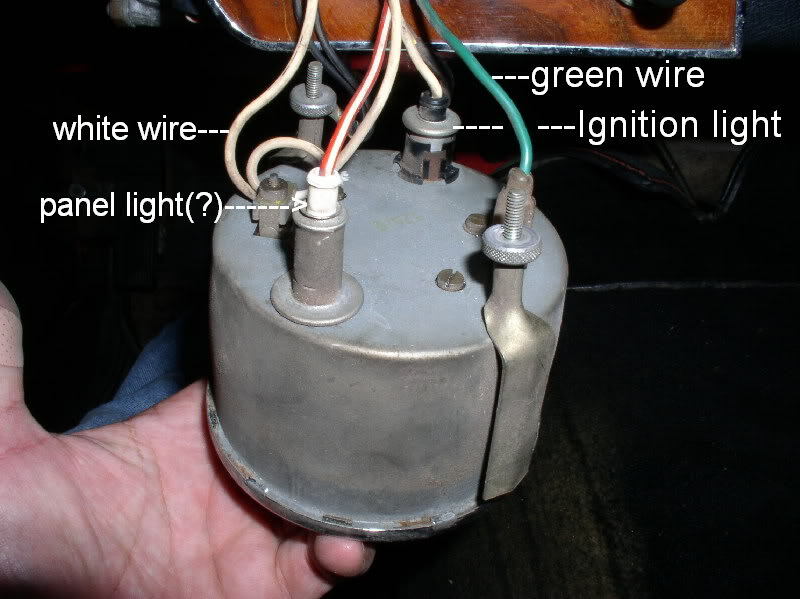 What you need to be concerned about is burning out the electronic ignition (or possibly some of the old, not so great, electrical connections). If it is designed to have a ballast resistor in the circuit, then you should have it. When the car is running, the impedance of the coil is much greater than the ballast resistance, so the extra resistance has very little effect. What it does is limit the amount of current flowing when the ignition is on but the car is not running so the impedance of the coil drops very low. Some electronic ignitions have this resistance built in, so additional resistance is not necessary. The manual for your pertronix should tell you. Use the Ignitor II version, install a proper 12V coil (blue Bosch or Lucas Sport Coil) and lose any resistors or resistor wires. You won't fry the tach, you don't need the connection from the starter to the + terminal of the coil and starting will be easier. Ignitor II is a lot more intelligent than the original version and will shut down while stationary, thus it doesn't care much about ballast resistors and coil resistances. It adapts dwell for optimum spark. Tom and Joachim..thanks for the input. I've seen comments that the tach wont work after a electronic conversion and that it needs to get "converted" electronically to be functional again..whatever that means. Others say their tach works fine..any thoughts? With regard to the resistance wire, I have 12V at the white wire coming from the tach where it attaches to the resistance wire under the dash. At the other end of the resistance wire (at the coil), there is only 8V. My worry would be bypassing the resistance wire would increase the current thru the tach and burn it up. If I bypass the resistance wire, do I buy a coil with a higher internal resistance (3 ohm?) to prevent this from happening? Sorry if this is all rather basic..Im a newbie to this car. An Accuspark points replacement unit was fitted to my GT a few weeks back. At around the same time I re-installed the refurbished original stereo and was getting serious RFI. The guys who had installed the Accuspark said there was too much RFI from the ignition system for their dyno to get accurate readings. So I decided to change the coil, which prompted hours of internet research into ballasted and non-ballasted systems. The consensus view was that i) GTs and late Jensen-Healeys have a resistor wire, ii) earlier Jensen-Healeys have a ballast resistor mounted on the bulkhead, iii) using a 3 ohm coil with a ballast resistor or wire is not a good idea as you will get a weak spark, iv) if you have a ballast resistor or wire you need to use a 1.5 ohm coil, and v) if you have a ballast resistor or wire you must connect the +ve feed to the points replacement unit on the +ve side of the resistor. A PO had removed the resistor wire from my GT, but there was still the ballast system wire from the starter motor to the coil, as per the wiring diagram (which has no resistor on it). Confusing! So I installed a 3 ohm Accuspark coil, connected the live feed from the tach to one +ve terminal and the wire from the starter motor to the other +ve terminal, and ran the +ve feed to the points replacement unit direct to an ignition live on the fusebox. This seems to work, even though the feed from the starter motor is probably redundant. The RFI issue seems to have been fixed by replacing the stock Champion N9YC plugs with NGK BPR6ES resistor plugs. So is there any reason not to just keep the resistance wire and use a 1.5 ohm coil? This seems to be the easiest thing to do. Yes, this would be the easiest approach. Provided you also have the wire from the starter motor direct to the +ve terminal of the coil. This wire bypasses the resistor wire from the tach and provides an extra strong spark for starting. You will also need to find an appropriate +ve feed for the Pertronix unit. You can't use either +ve terminal on the coil because one terminal will be "downstream" of the resistor wire (and therefore only provide 8V to the Pertronix), and the other terminal will (as per my last post) be connected to the starter motor and so only provide current to the Pertronix during starting. The best solution is to connect the Pertronix +ve feed "upstream" of the resistor wire ie between the resistor wire and the tach. This will mean some poking around behind the dash. The alternative is to connect the +ve Pertronix feed to an ignition live on the fusebox, on the +ve side of the fuses (so you have a non-fused +ve feed). The Pertronix installation guide should provide more detail on this point. You should also increase the plug gap (above stock as per the workshop manual) after fitting the Pertronix. The stock plus gap depends on whether you have Dellorto or Stromberg carbs. My GT has Dellortos and the stock gap is 0.0023". I increased this by 0.004" on the recomendation of Accuspark. Pertronix may recommend a larger increase in the plug gap. Apparently a wider gap is recommended because points replacement units provide higher voltage to the plugs. Works(-ish) with Ignitor-II, but I will replace the innards of the tach with a spiyda tach conversion kit very soon. The Smiths RVI tach is kind of special in that it is current triggered rather than voltage triggered - meaning that ALL current to the coil has to go through the tach. No other tach I know of uses this principle, and it is not good for general reliability. As I already said, get a Lucas Sport Coil or a Blue Bosch. You won't kill the tach with current, but vibration will kill the tach sooner or later. Get rid of the resistor wire and mount a proper 12V coil. And convert the tach to voltage triggering, it will be more accurate and you remove at least two points of failure. Sounds good. There is a local shop here in Southern California (north hollywood speedometers) that says they do tach conversions. Does the wiring to/from the tach stay the same with the switch to voltage triggering? I did the Spiyda kit on my tach last year. Easy if you're comfortable with a soldering iron... took about a half hour. (c) you run one new wire from the tach to the V- side of the coil. You will need one bullet connector for this, I believe it is male but I'm going by memory. That sounds painless. Any tips on removing the instrument panel so as not to break the oil line to the pressure gauge? The oil line should be long and flexible enough to pull the instrument cluster out far enough to disconnect the line from the pressure gauge (press on the flat side of the connector and pull gently). If the line is so stiff and brittle that you are concerned about breakage, I recommend replacing it while you have the cluster out. No no no! Don't remove the instrument panel! (2) reach up behind the dash to the back of the tach. It's held in place by two knurled nuts (seen in photo at approximately the 3:00 and 9:00 position) that pull it tight against the face of the dash. Hopefully you can loosen those by hand... not a lot of room for your fingers back there but I didn't have any trouble with it. Remove the nuts. (3) Those nuts are threaded onto two studs that extend from the back of the tach. They hold "captive" a couple of "fingers" that have a round portion that slides over the studs, and the other end presses against the back of the instrument panel. You can kind of see them behind the nuts in the photo. At this point you don't technically have to remove them (they will just fall off when you remove the tach), but you might want to so you know where they are instead of having them fall into some nether region back there. (4) Slowly, from the back, push the tach out of the instrument panel, toward the steering wheel. It should just slide out, and if you haven't removed the retaining fingers they will fall off and end up somewhere behind the dash, probably painful to get at. (5) Remove the three wires and the bulb from the back, and it's out. You can do the wiring I spoke of (plugging the two wires together) right through the hole in the instrument panel. While you're in there, fish a new wire through the hole as well for the new connection you'll need. No need to be pulling that whole thing out. Had to edit this post because the picture I found disappeared, but I found a better one anyway. Here's another generic pic I found showing a Smiths tach after removal, so you get a better idea of the way the retaining fingers work. Ignore the wiring etc as it's from a completely different model, but the retainers work the same way. You can see how the knurled nut tightens the retaining fingers, basically squeezing the dash cutout between the tach bezel and the retaining fingers.